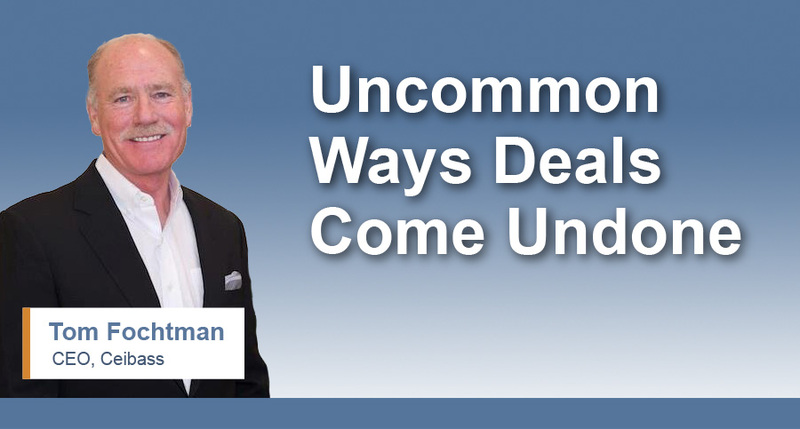 Having explored some of the common ways deals come undone, the Enterprise Value Specialists at Ceibass want you to know some of the uncommon ways lawn & landscape deals fall apart. With the knowledge, you can improve your business’ performance and y increase the probably of the sale reaching the finish line. As the new Buyer does a deep dive into the management team they discover that the leadership, strategic thinking, financial acumen, or ability to run a tight ship or hold onto existing contracts & grow the business is just not there. Or will require unanticipated restructuring, or training. Work on your bench strength. Take on the costs of time, energy, money and lost opportunities to educate and train your senior leadership. Let them lead. Don’t smother or micro-manage them and then expect them to perform. Give them room to grow. This is not really a due diligence item. The seller might become more aware as due diligence is going on but this really happens more at the LOI (letter of intent) level. The LOI confirms the price and that is when a Seller would do tax projections with their CPA. Here, for whatever reason, the anticipated “take home,” net after taxes for the Seller, is not enough as they learn & focus on taxes, payment schedule, and especially existing DEBT. Good owners pay debt down. Know your numbers & the outcome you’re looking for up front.